War REALLY is Bad for Children (& Other Living Things) – Patrick F. Clarkin, Ph.D. This is a recurrent pattern. In general, refugees and internally displaced people (i.e., refugees who have not crossed an international border) tend to have high rates of malnutrition. This is true in places as disparate as Sudan, Somalia, Afghanistan, Sierra Leone, Ethiopia, the Democratic Republic of Congo, Liberia, and Iraq (Grandesso et al. 2005; Toole and Waldman 1997; Yip and Sharp 1993). For example, in a sample of 1600+ Afghan children aged 0-59 months, Mashal et al. (2008) found that those who had been forcibly displaced from their homes in the previous 5 years were significantly more likely to be shorter, lighter, and wasted (‘skinnier’) compared to those who were not displaced. Similarly, Mullany et al. (2007) reported that children in eastern Burma who were internally displaced were three times as likely to be malnourished (as assessed by upper arm circumference) than non-displaced children. (Note: it’s disturbing that Myanmar features in two of the above examples- the Rohingya in the west and the Karen in the east). The effects of war and forced displacement can be seen in other manifestations of child growth and development as well. War has also been linked to a delay in the age at menarche, or first menstruation. This has been observed in Croatia and Bosnia during the 1990s war in the former Yugoslavia and in South Korea during the Korean War, likely due to a combination of nutritional and psychological stress (Tahirović 1998; Prebeg and Bralić 2000; Hwang et al. 2003). For example, in the city of Šibenik in Croatia, the average age of menarche increased from 12.9 yrs in 1985 to 13.1 yrs in 1996. For girls who were absent from the city for the entire war, average menarcheal age was 13.0 years, vs. 13.8 years for girls who had a family member killed, and 13.5 years for girls whose homes were damaged by war. 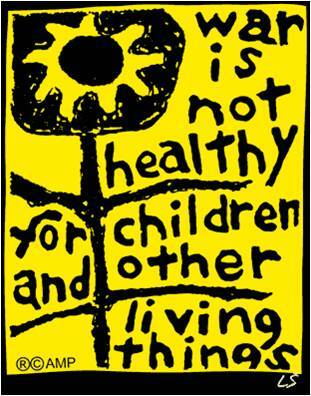 It seems apparent, then, that war and forced displacement really are not healthy for children (and other living things), to paraphrase the wonderful slogan from the organization Another Mother for Peace. War’s impacts on civilian populations, especially children, extend well beyond the better-known repercussions of death, physical injury, and psychological trauma and into more subtle aspects of biology, as seen above. Further, these examples just scratch the surface. In the case of the Rohingya, the widespread starvation conditions and the reported lack of response on the part of the government of Bangladesh, will likely have a biological impact that will be felt for decades. Malnourished children face an increased risk for infection and death, but also deficits in immune function, cognition, and growth. Often, such deficits are too severe to be made up and remain embedded in individuals for the rest of their lives. Grandesso F, Sanderson F, Kruijt J, Koene T, Brown V. 2005. Mortality and malnutrition among populations living in South Darfur, Sudan: results of 3 surveys, September 2004. JAMA. 293:1490-4. Hwang J, Shin C, Frongillo EA, Shin KR, Jo I. 2003. Secular trend in age at menarche for South Korean women born between 1920 and 1986: the Ansan study. Ann Hum Biol 30:434-42. Mashal T, Takano T, Nakamura K, Kizuki M, Hemat S, Watanabe M, Seino K. 2008. Factors associated with the health and nutritional status of children under 5 years of age in Afghanistan: family behaviour related to women and past experience of war-related hardships. BMC Public Health 8:301. Mullany LC, Richards AK, Lee CI, Suwanvanichkij V, Maung C, Mahn M, Beyrer C, Lee TJ. 2007. Population-based survey methods to quantify associations between human rights violations and health outcomes among internally displaced persons in eastern Burma. J Epidemiol Community Health 61:908-14. Prebeg Ž, Bralić I. 2000. Changes in menarcheal age in girls exposed to war conditions. Am J Hum Biol 12: 503-8. Tahirović HF. 1998. Menarchal age and the stress of war: an example from Bosnia. Eur J Pediatr 157:978-80. Toole MJ, Waldman RJ. 1993. Refugees and displaced persons: war, hunger, and public health. JAMA 270: 600-5. Yip R, Sharp TW. 1993. Acute malnutrition and high childhood mortality related to diarrhea: lessons from the 1991 Kurdish refugee crisis. JAMA 270: 587-90. This entry was posted in War and health and tagged children, Forced displacement, growth, nutrition, refugees. Bookmark the permalink.